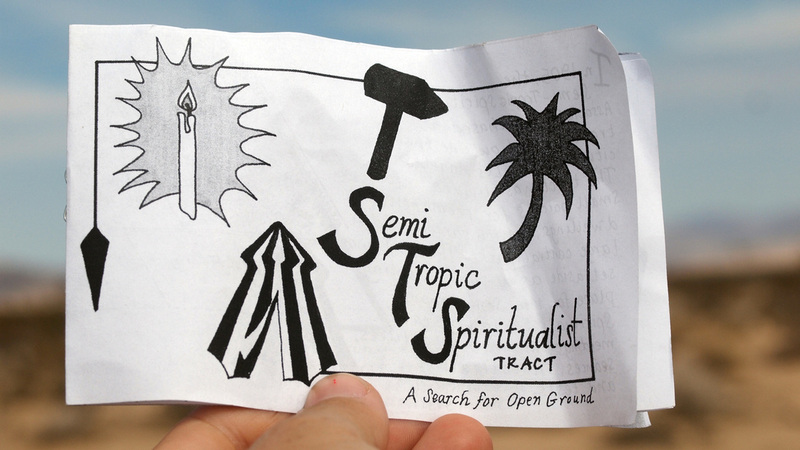 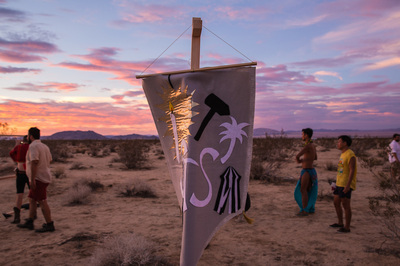 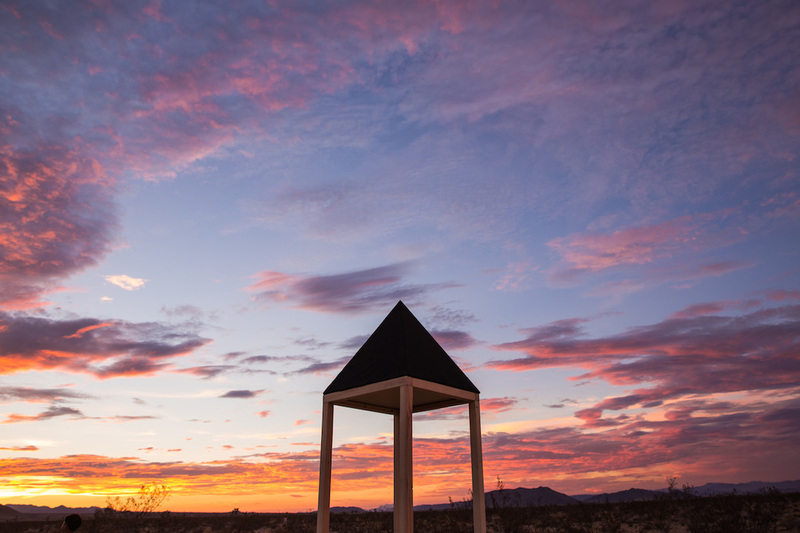 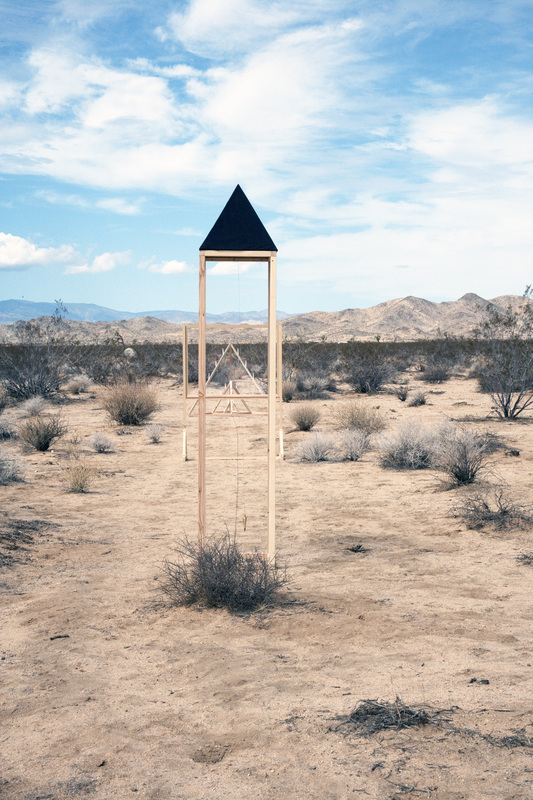 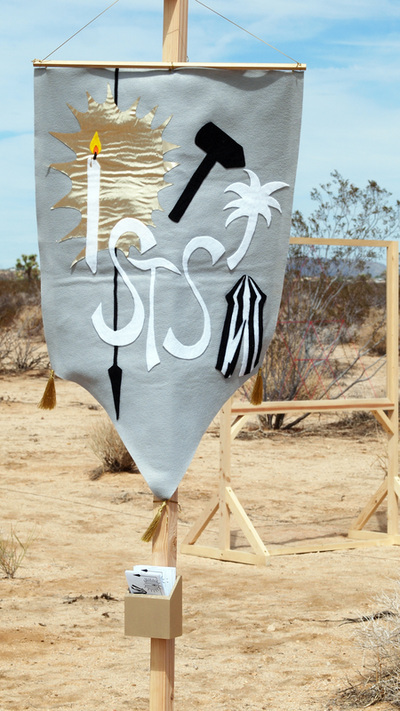 Inspired by the remote, desert landscape and the historical significance of open land as a place for experimental societies to flourish, we follow the lead of the original Semi-Tropic Spiritualist Association, creating our own outpost in unoccupied territory. 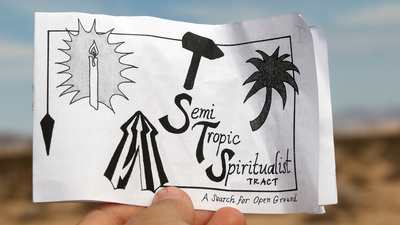 This work features an installation of ritual objects, including orientation and divination tools, as well as a performative orientation through the introduction of the Semi-Tropic Spiritualist Tract. 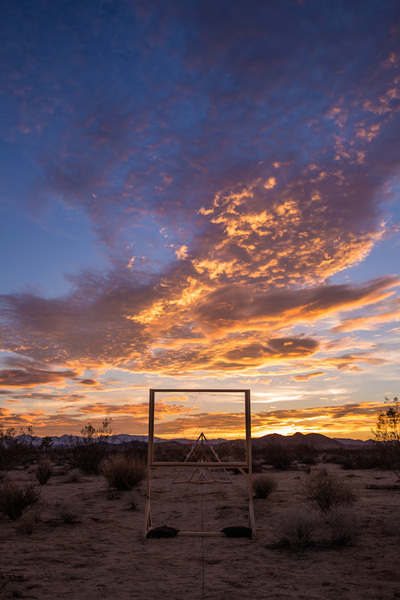 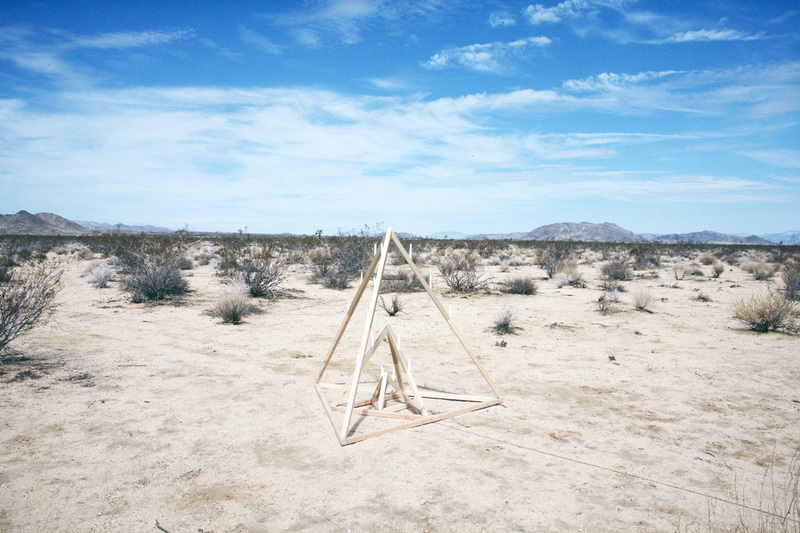 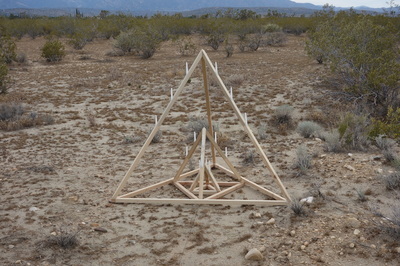 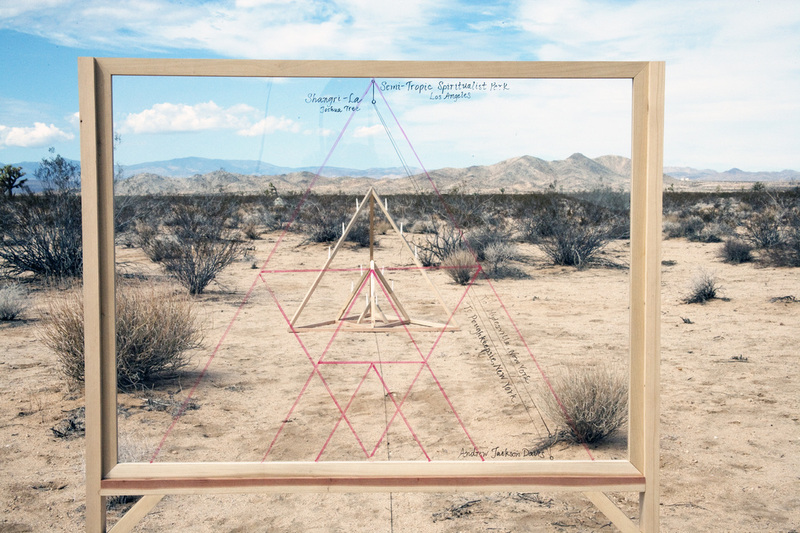 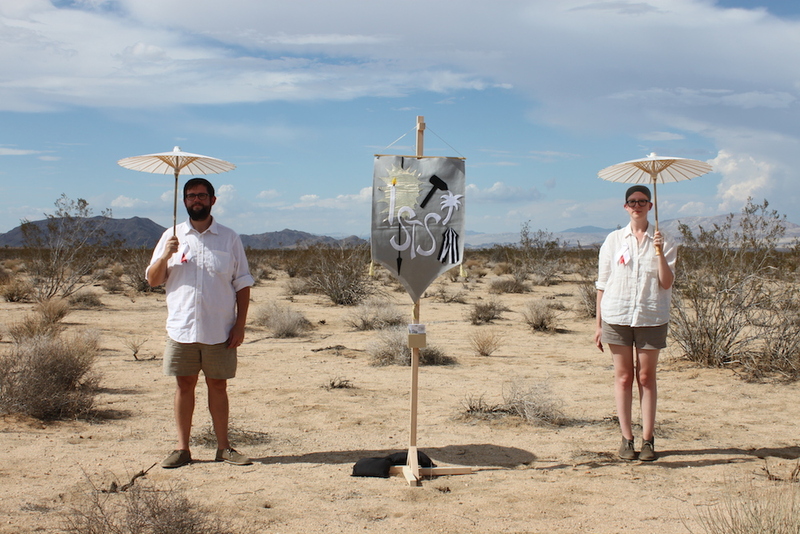 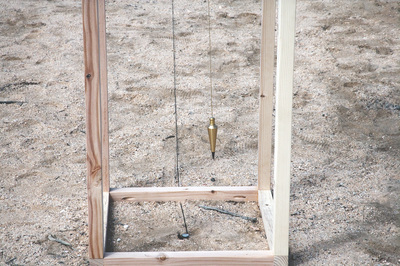 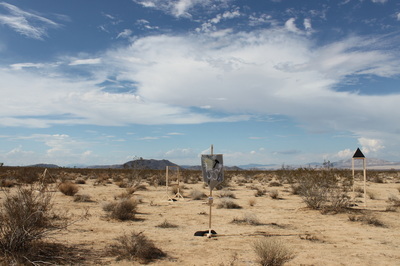 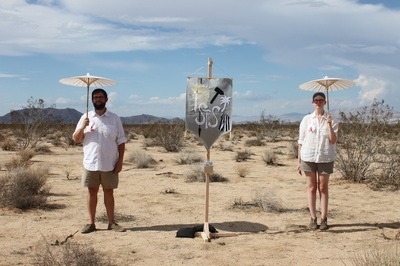 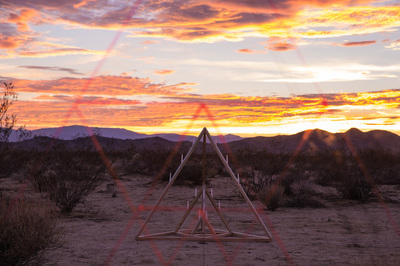 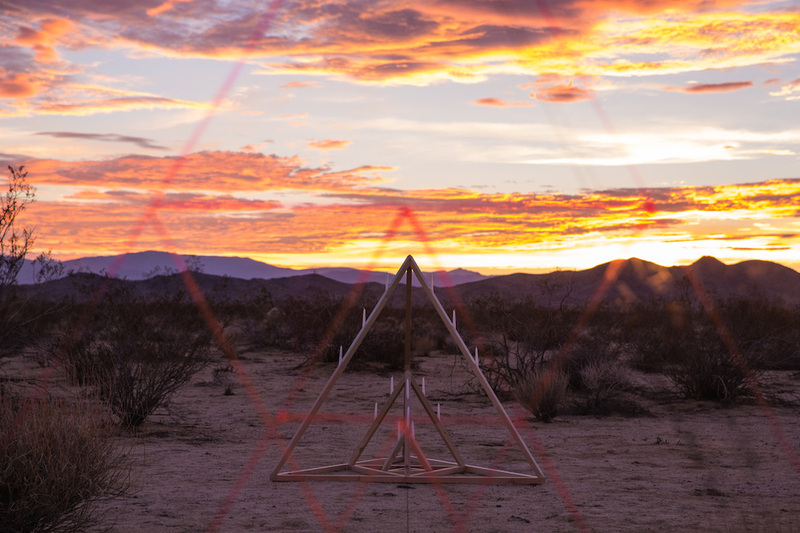 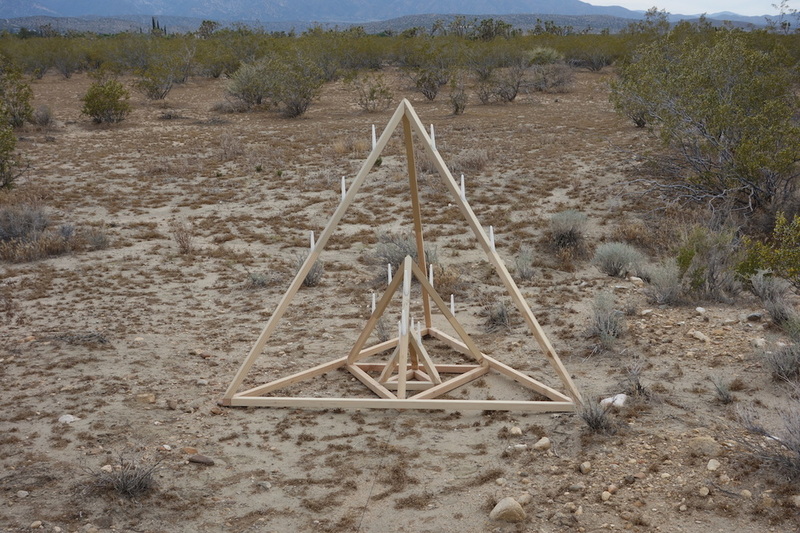 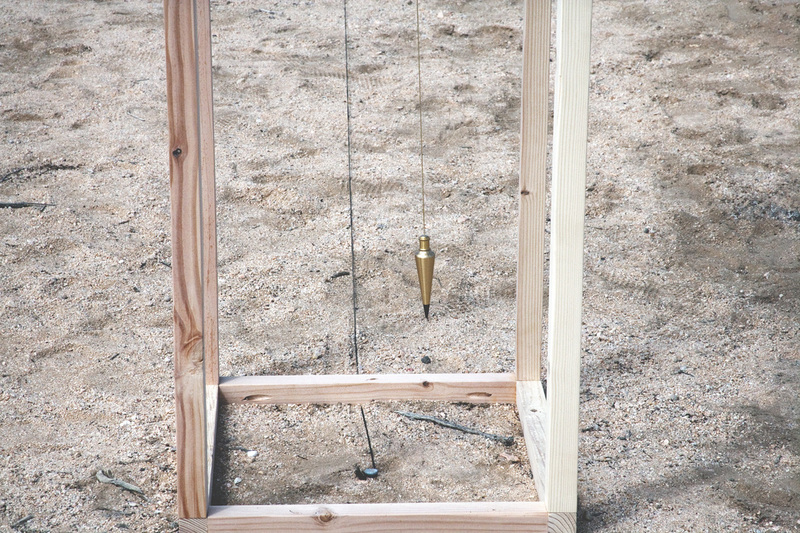 This work was first presented at Shangrila 2013: Burrito Deluxe, a weekend of art and performance taking place at Shangri-La in Joshua Tree, CA, organized by Steven Bankhead and Jesse Benson. 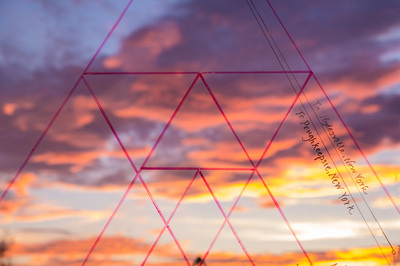 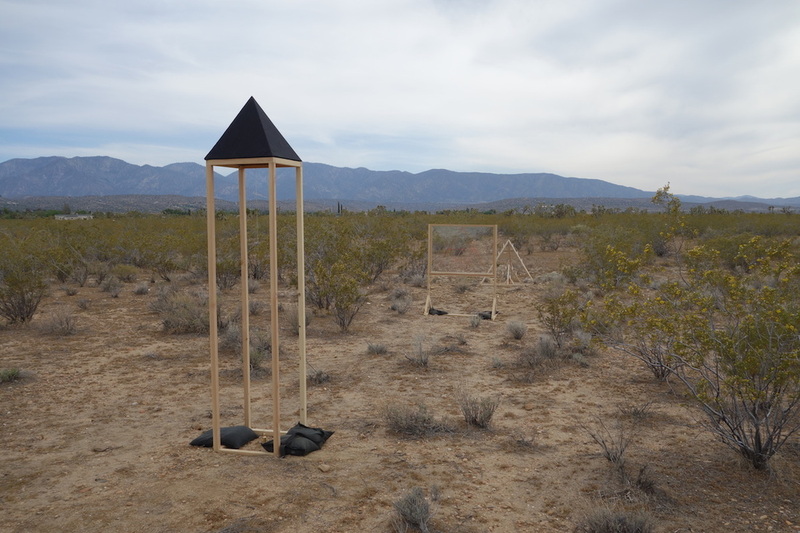 The work was presented again at Squaring the Circle, an exhibition curated by Craftswomanhouse and Hinterculture at the site of Llano del Rio, a socialist utopian community that existed in the Antelope Valley in the early 1900s.